Blue Cheese vs. Ranch? Choose the original! WHEN IT COMES TO BUFFALO WINGS, WHICH DRESSING MAKES A BETTER CREAMY COMPANION? 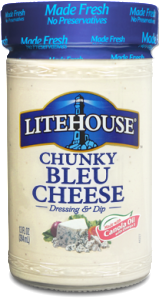 Blue cheese is the original. 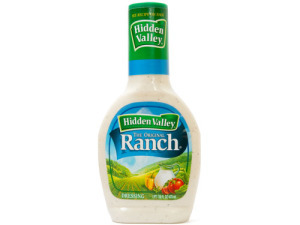 Ranch has a salty, herbal tang that makes it an interesting choice. But let’s be real – what’s next? Thousand Island? Mayonnaise? I just gagged a little. The Wing Authority officially declares here that… BLUE CHEESE is the only way to do Buffalo wings. First and foremost, blue cheese was the original dipping sauce to accompany those first hot wings on that fateful night at the Anchor Bar in Buffalo, New York. We can’t change the history of Buffalo wings any more than we can change that the Romans spoke Latin. But in addition to the history & tradition, the stark color contrast of white dressing on red sauce, the way it cools the palette, the tasty bits of cheese – there is no better compliment to this food than chilled, creamy blue cheese dressing. Posted on October 30, 2014 April 1, 2015 Categories Blue CheeseTags blue cheese all the way!, buffalo wings, say no to ranch!, wingsLeave a comment on Blue Cheese vs. Ranch? Choose the original! When describing this website to a friend the other day, he described me as a “food critic” and asked me if I was a “foodie.” I had no problem answering no. You see, my taste buds are conditioned (damaged?) by years of sampling pounds of wings tossed in sauces with names like Atomic, Suicide, Insane, Triple Threat, etc. I’m not the kind of guy who can detect the oak barrel in a sauvignon blanc. Exotic ingredients, plate presentation, and food in general doesn’t excite me in the same way as your typical foodie. My passion is for Buffalo wings. I eat them all the time as a necessity and with seriousness. There is work to do. 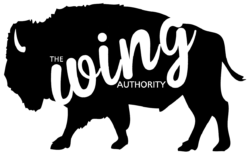 Call me a food critic if that helps, but the truth is that the role of The Wing Authority is simple: TO OBSERVE AND PRESERVE THE BUFFALO WING TRADITION. Anything else is mostly just fluff.